“War on Drugs” is War on Sanity | Indestructible Ideas! In the 1970s a declaration by President Nixon was made that changed the shape of the drug policy in America; he declared a “War on Drugs” (America’s war on drugs, 2007). Policies were created to not only end drug production, but to diminish drug use overall (Drug abuse, n.d). Their objectives were to focus on stricter punitive penalties such as prison time and to concentrate less on treatment programs (Drug abuse, n.d.). It is important to understand the War on Drugs is a general term used to describe the efforts of the U.S. Government to eradicate illegal drug use and production, and does not refer to one specific policy (Head, n.d.). It has been transformed in many different ways and changed with each administration. Currently, the Obama administration is no longer going to use the “War on Drugs” term to refer to any anti-drug policy (Head, n.d.). Because the War on Drugs is very broad, an analysis will be done on the most pivotal components. The policy encompasses international, state, and national levels. While some aspects of all levels will be touched on, the central focus will be on a national level. Combating drugs wasn’t a new concept when Nixon declared a War on Drugs in the 70s. President Eisenhower actually created a committee in 1954 to stop narcotic dependence (Suddath, 2009). However, between 1960 and 1967, drug crimes and drug arrests rose radically, and on these grounds, Nixon called for a national anti-drug policy (America’s war on drugs, 2007). 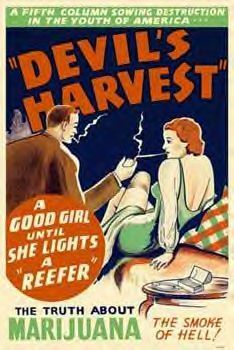 A couple years after Nixon declared a War on Drugs, the Drug Enforcement Administration (DEA) was instituted in 1973 to fight the drug dangers (Suddath, 2009). The DEA was incorporated within all other agencies and thus they were able to coordinate with one another to fight drug related crimes (America’s war on drugs, 2007). During the war in Vietnam, a public outcry was incited because American soldiers were using heroin (Suddath, 2009). By 1975 the spotlight was on Colombia due to its pervasive cocaine industry – for example, 600 kilos of cocaine was found by Colombian authorities in one bust that year (Suddath, 2009). In retaliation for the lost cocaine, drug lords murdered 40 people in one weekend, also known as the “Medellin Massacre” (Suddath, 2009). The drug trade in Colombia was the cause of numerous abductions, assassinations, drug raids, and a “hit list” that included U.S. politicians, reporters, and businessmen (Suddath, 2009). The drug trade wasn’t solely isolated in the countries where drug production began, such as Colombia, but the drugs found their way across American borders. Ninety percent of cocaine produced internationally, according to the U.S. International Narcotics strategy, crosses the southern border of the United States (as cited in Suddath, 2009). Society, at all levels, is affected by drugs whether it’s depleting the financial market, healthcare industry, criminal justice system, or impeding the future of children (Office of National Drug control policy, n.d.). Since the 1960s, $2.5 trillion dollars was spent by the U.S. government on the War on Drugs (Suddath, 2009). $20 million alone is spent on drug enforcement every year (ONDCP, 2010). As revealed, the costs of maintaining the War on Drugs is substantial; the budget for drug enforcement ($20 billion) is one third of what the government spends on the budget for education (Did you know: War on drugs edition, 2010). $6,120 dollars per second are lost because of drug use, money which could have been used for health care costs, among other things (Office of National Drug Control Policy, n.d.). Outside the financial spectrum, drug use affects a range of people in America; ten percent of 8th graders used illegal drugs last month and 1 in 8 American drivers were tested positive for drug substances (Office of National Drug Control Policy, n.d.). You didn’t read all the pages did you?